for a few of my other friends for Christmas! to send you and your family joyful Christmas greetings! 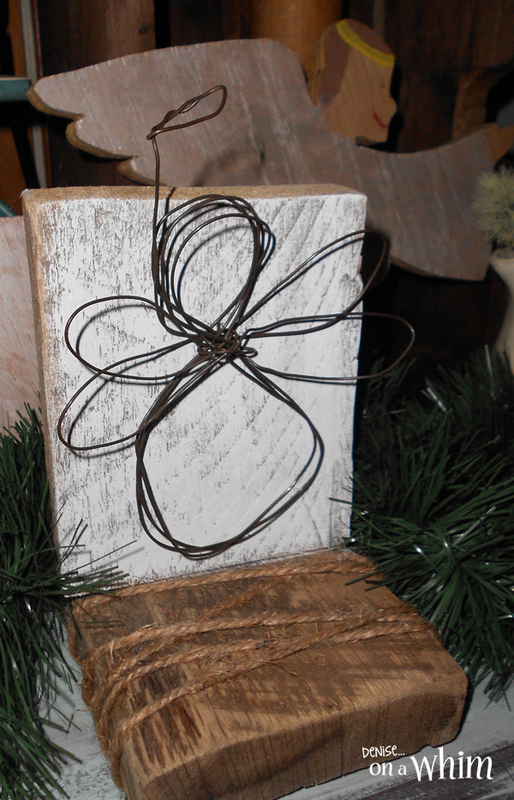 And show you this rustic wood and wire angel gift. 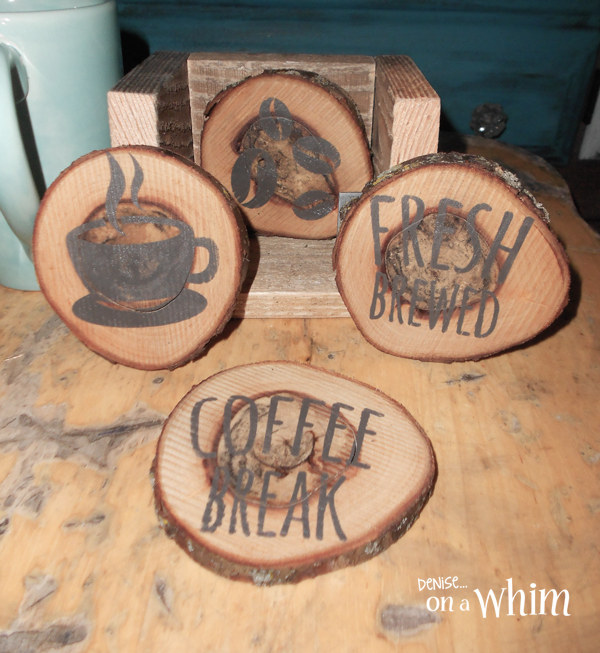 I've been a busy little elf this year making custom signs for Christmas gifts. I do have favorites, of course. 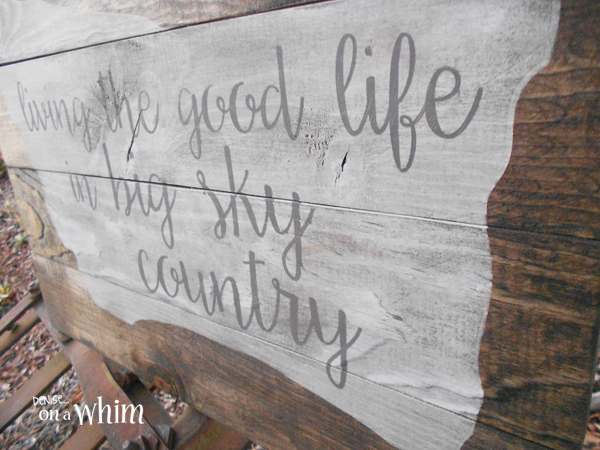 And this Montana sign is one of them! Last week I showed you a button snowflake I made with a wooden embroidery hoop. 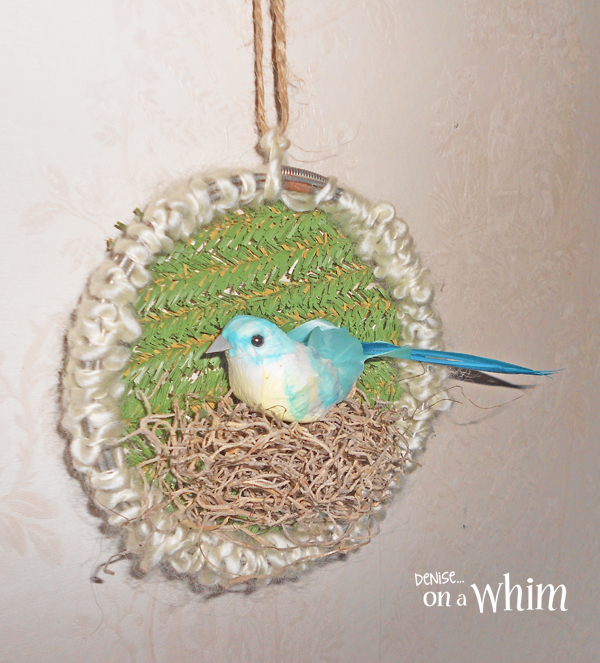 Today I'm sharing another embroidery hoop project. Perfect for the bird-lover at Christmas time! It's rare that I actually get something brand-spanking new. I've been wanting a table lamp for some time now and I finally got one! 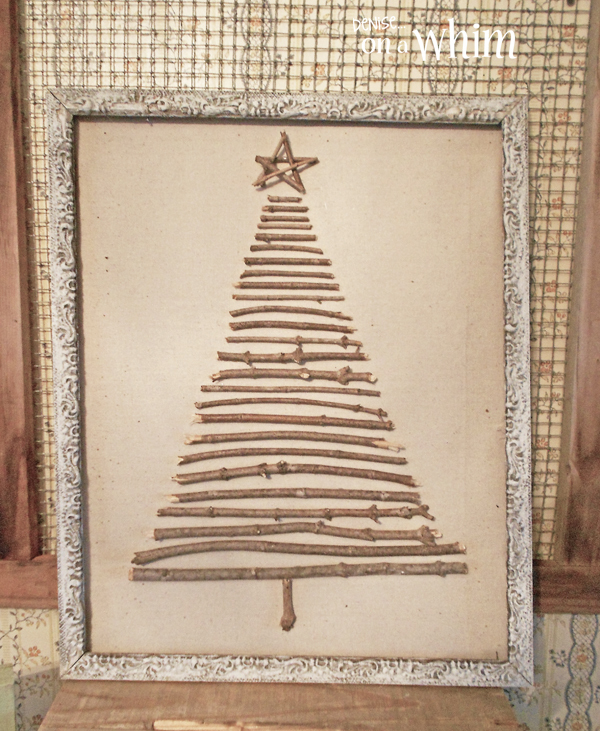 This framed twig tree is rustic and was nearly free for me to make. 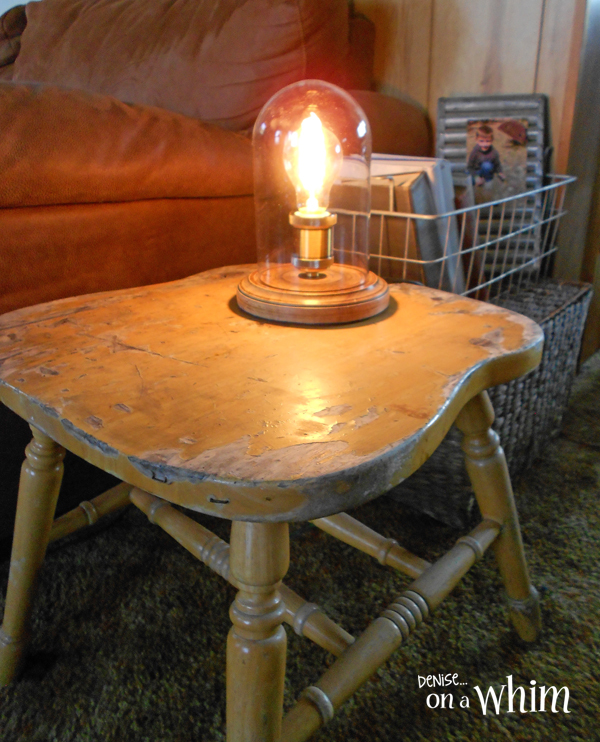 then you could easily make this for virtually no cost, too! 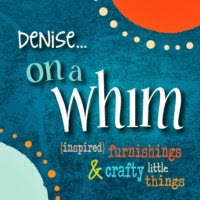 I'm so excited to join in an awesome blog hop hosted by Hometalk.com and CountryLiving.com! by visiting the links below! 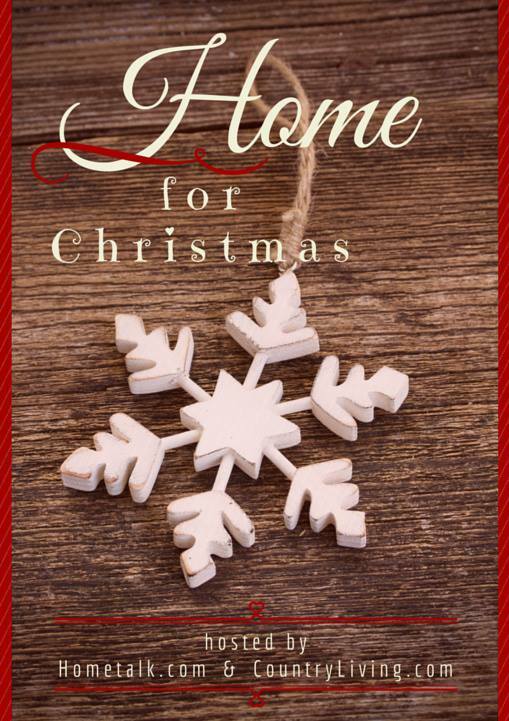 But first, let me share my own little Christmas project with you! Maybe it's the cooler weather. Or maybe it's the lack of snow in a Michigan December. Whatever the reason, I'm really loving a warm white color palette lately. 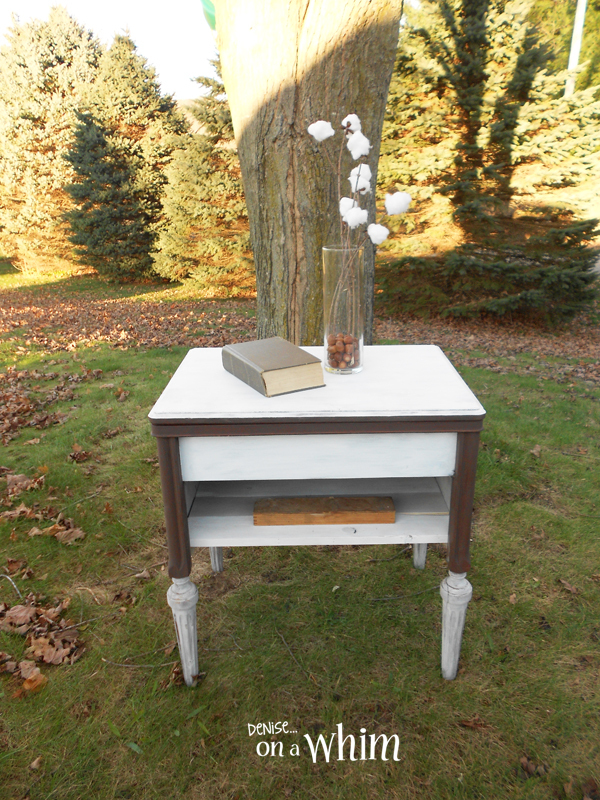 White, beige and a greyish brown are the colors I chose to beautify this sewing cabinet makeover.